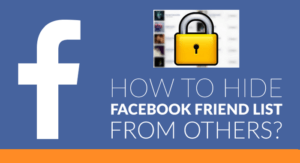 Method 2: From Using PC – How to hide friends list on Facebook. Facebook is the biggest social networking site. There are over 1.44 billion monthly active user on Facebook. But the biggest issue while using Facebook is our privacy. Anyone can check out our Friend list, and thus it causes some serious problems in our friend or relative circle. As we all know Facebook comes with many features, it also has the feature of hiding your friend list of others like hiding friend list from everyone or a particular friend. 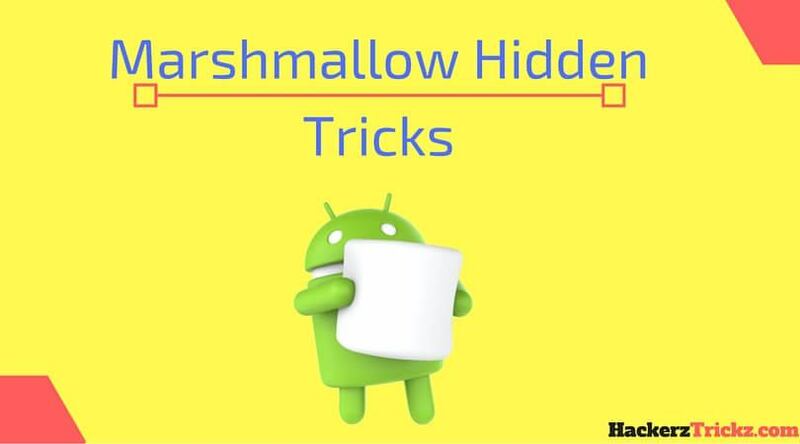 Furthermore, you can perform this task from your smartphone as well as PC/Laptop. The mobile Facebook App is not able to do this task, but you can do this by using any web browser like Google Chrome, Opera Browser, CM Browser, etc. Highly Recommended – How To Get The Amazing Facebook Flat Design on Google Chrome. Below I have shared the methods to hide friends list on Facebook from anyone. Facebook mobile App does not have the feature of hiding friends list, but we going to do that by using Google Chrome. 1. First of all, login to your Facebook account from Google Chrome. 2. Now go to your profile and click on “Friends” option. 3. Then you can see a Public icon just click on it. 4. A popup will appear and choose “more” option. 5. Now it will show your four options, choose anyone of your choice. 6. That’s it you are done. You have successfully hidden your Friend list from strangers. As Facebook does not offer any App for PC, we will do hide friend list from PC’s web browsers. 1. Open your web browser and open Facebook.com. 2. Now open your profile and click on “Friends’ option. 3. Then click on small pencil icon which is located at the top right corner of friend tab. 4. Now click on “Edit Privacy,” and a popup will appear. 5. Then you can see three public option, click on the first one. 6. It will show you 4 options, Public, friends, only me and custom. Choose anyone following to your choice. 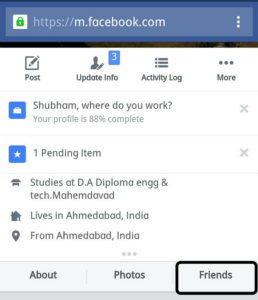 Friends option – Anyone in your who is your friend on Facebook can check your friends list. 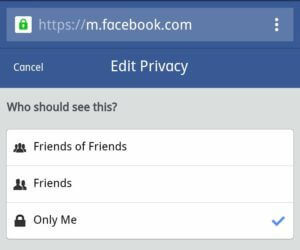 Only Me option – Only you can check your friends list. Custom option – Here you can show or don’t show your friends list to specific persons. Here in a popup, it will show you two options, the 1st box is for the friends whom you want to show your list and 2nd is for whom you don’t want to show list. 7. That’s it. You have successfully hide your friends list. 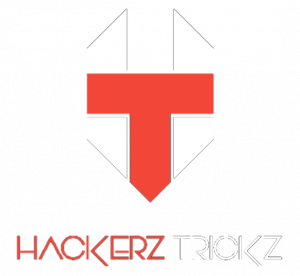 Like our official Facebook Page – HackerzTrickz Fb Page. 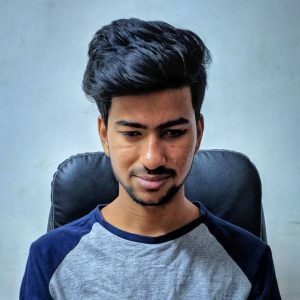 I have shared two methods here because both of them are important, 1st is for smartphone and 2nd is for PC/Laptop, both are completely working and are easy to use. Whether you do it from a PC or a smartphone both are easily applicable. 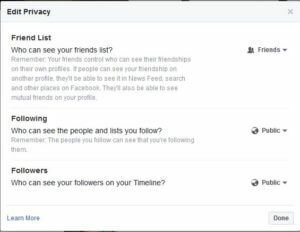 Now, you can maintain your privacy, and the question how to hide friends on Facebook will disappear forever from your life. The very reason I posted this article is that it has a great demand in youth none want to show their friendliest to others on Facebook, most of the people wants to keep it Private and safe from others. Whether you like to access Facebook from PC or smartphone it can work in both of the things. Having said that, this is also true that those methods mentioned above are not very difficult to apply, so you won’t face any problem to access it. So, hence was the post to how to hide friends list on Facebook. I hope you liked the post. Feel free to comment your reviews in the comment box. I didn’t see any of these options while trying to perform these steps.